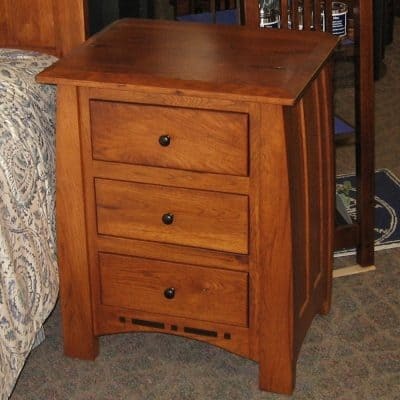 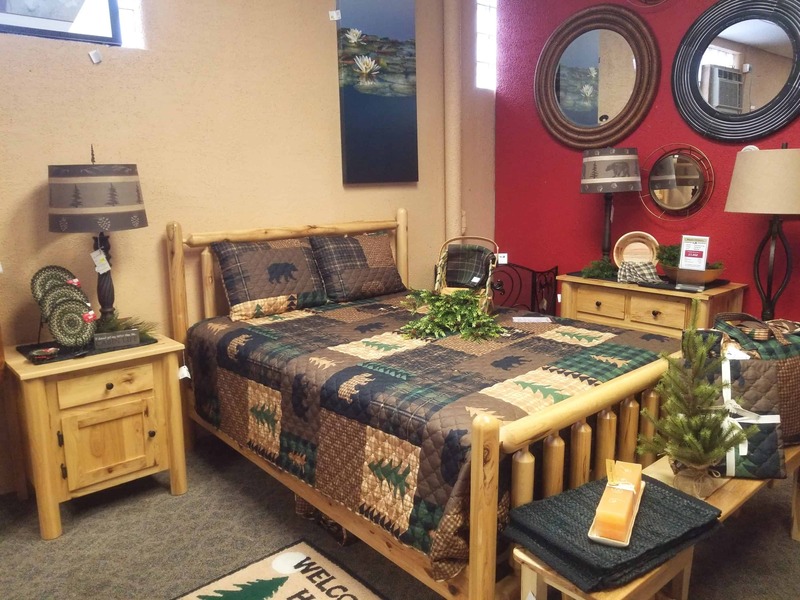 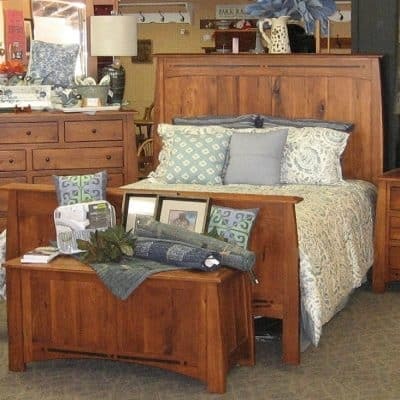 Turned Log Bedroom Set, Shown in Rustic Hickory with a Natural Finish. 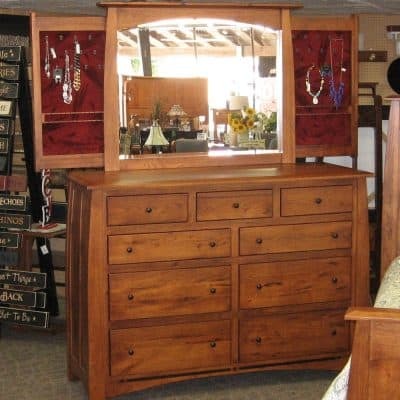 Other woods, stains, and colors may not be available for custom order. Set includes: Turned Log Queen Bed, a 1 Drawer Nightstand, a Dresser, and a Chest that is not pictured.